(CBS News) Amid a recession, the birth rate in the United States has been falling - but not for all women. U.S. birth rates declined about 16 percent among women ages 15 to 24 between 2007 and 2010, according to the Centers for Disease Control and Prevention (CDC). Similarly, among women 25 to 29 rates went down more than 8 percent, and among women 30 to 39 rates decreased about 4 percent. But, when it came to women aged 40 to 44, rates rose more than 6 percent during this time. These trends continue a pattern among women of starting their families later than their mothers did that's been underway for decades, according to Elizabeth Gregory, director of women's studies at the University of Houston and research fellow on the Council on Contemporary Families. In 1970 the average age at first birth was 21, today it's over 25. Almost 40 percent of all U.S. babies in 2010 were born to women over 30, and almost 15 percent - 1 in 7 - were born to women 35 and over. One in four first births were to women 30 and over, and one in 12 were to women over 35. Though women evidently see virtues in delay, that hasn't been the case with public perception. Instead of clear analysis, there's a lot of misinformation, both about why women are delaying and what the effects of fertility are for individual families and for society at large. Gregory, author of "Ready: Why Women Are Embracing the New Later Motherhood," breaks down seven common myths about late motherhood. Gregory finds the opposite, and says later mothers aim to do well in their careers in order to support their kids. The current work-system effectively punishes women who have kids early on, she says, by holding their salaries low and limiting their opportunities to advance. One study in the July 2011 Journal of Population Economics found that college-educated women gain 12 percent in long-term earnings per year of delay. That means a woman who starts her family at 30 makes about twice as much in the long term as she would if she had started her family at 22, and so on with each additional year of delay. The average female college grad (of any race) starts her family at 30 and many wait longer, according to the CDC. It is true that fertility declines after 35, and it often takes longer for a couple to conceive. But Gregory says that news stories about fertility tend to exaggerate in both directions, overstating the rate of fertility decline or failing to note that some older mothers have used donor eggs. In 2010, 580,000 babies were born to women 35 and over in the U.S. Less than 5 percent of these involved IVF and egg donation, according to a CDC report. It's hard to gather firm data on age-based fertility decline because researchers can't ask large groups of people to try constantly to get pregnant over decades, says Gregory. But, a study that looked at Hutterites, a branch of the Anabaptists whose religious leaders asked them procreate as much as possible, found that almost 90 percent of 35-year-old women can have kids without aid, roughly two-thirds can do so through 39, and about half at 41. Rates plummet thereafter, and few women have children after age 44 with their own eggs. Nowadays, women thinking about having kids later may want to consult a doctor early to discover whether they have any issues impeding fertility that might be time-consuming to address, like endometriosis or other non-age-based issues. Though most women who have determined that they are fertile can conceive within two years of trying at least two times per week, many starting in their late 30s and early 40s shouldn't wait that long before consulting their OB/GYN or fertility specialist. According to Gregory, if any issues are addressed early on, you won't have to waste time fixing them during the time-critical period when you are trying to conceive. Though autism risk increases with maternal age, the rate of increase is often blown out of proportion, according to a UC Davis Autism study. The increased risk attributable to mom's age appears to be one-half of 1 percent. Older fathers, often partnered with older mothers, have been linked to a somewhat higher risk. While reported cases of autism increased by 600 percent in the 1990s, less than 1 percent of the total rise was due to maternal age. On the other hand, children's test scores and IQ improve with each year of motherhood delay, due to the mother's increased education and experience, a 2009 paper in the American Economic Review reported. While moms in their late 30s and early 40s have higher risks for preeclampsia, high blood pressure, miscarriage, prematurity, gestational diabetes, having children with down syndrome and stillbirth, Gregory says most will have healthy pregnancies and babies. The mother of a child born when she's 40 will be 62 at that child's college graduation, and if the child waits until she's 40 to have a child, that woman will become a grandma at 80. While the average lifespan has increased by 30 years in the past century, some later moms will miss time with their kids and grandkids, and many will be less active than they would have been earlier. On the other hand, Gregory notes, there are no guarantees at any age. And research suggests mothers who choose to delay childbirth actually live longer than other mothers, on average. That may be due to greater physical vitality, better access to health care or perhaps a will to stick around to see their children through. An article in the March 2005 issue of the Journal of Health and Social Behavior found that women who gave birth in their 40s are four times as likely to live to 100 as women who did not. Many mothers experience a spike in happiness around the birth of a child, but a recent study by the Max Planck Institute for Demographic Research finds that this spike is particularly strong and long-lasting for moms who start families after 35. For those new moms, the spike is not followed by the steep and sustained decline in happiness and satisfaction that occurs among younger mothers, Gregory notes. Mothers who are able to delay - and not all are - often do so on purpose to mature and to find the right long-term partner. Because marriage is linked to jobs, later moms and their partners (both of whom often delay to establish themselves at work) are actually the "new traditionalists," Gregory says. 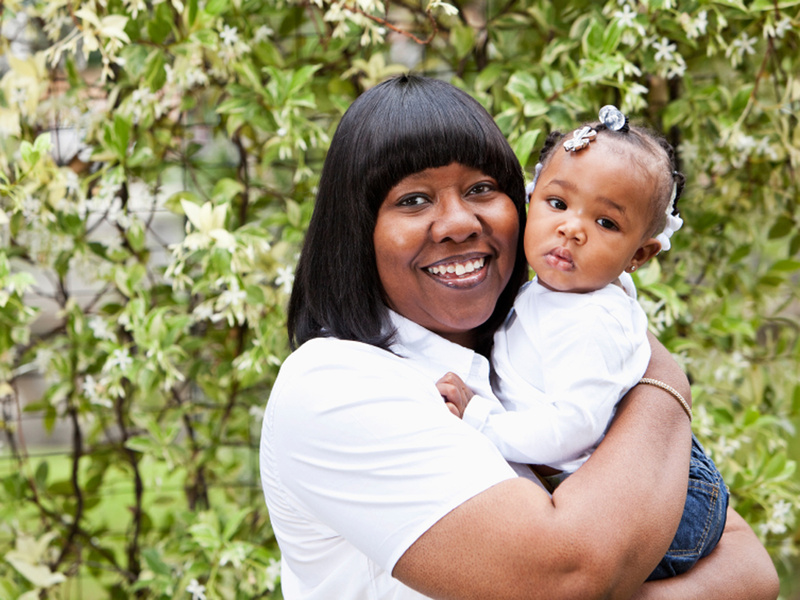 In 2009, 81 percent of first-time moms 35 and over were married. Comparatively: 11 percent of first-time moms at 18 were wed, 30 percent at 21, 62 percent at 25, 83 percent at 30, 78 percent at 40, according to a 2011 CDC report. Divorce rates among couples who marry young are substantially higher than among those who marry later. Single moms who give birth or adopt later are generally more financially stable than their younger counterparts. The trend to later motherhood is often discussed in worried tones, including fears around whether later moms will bear enough children to fill the needs of the workforce. "Once again the personal turns out to be political," says Gregory. * The expanded education of women has doubled the workforce talent pool in just a few decades, and daughters will likely extend the trend. * Delay of family is responsible for the gradual trickle-up of women into policy-making roles in business and government. If they change the work-system, it should become easier in the future for women to combine having kids and well-paid work without extensive delay. * Women's decisions around family are not merely personal issues,they are shaped by our current family-unfriendly work policies and they affect our society of tomorrow. Said Gregory, "If we feel it is in our national interest to encourage women to have kids earlier, we can work to make it easier and more affordable for them to do so."